Growing tensions over competing South China Sea claims, coupled with China’s increasing economic influence, are aggravating long-standing cleavages within the Association of Southeast Asian Nations (ASEAN). Intra-ASEAN differences are evident in the clear difficulty the grouping’s members have faced when trying to devise joint positions regarding the South China Sea, including during major meetings at Yunnan and Vientiane in June and July 2016. Unless its members reconfigure the way ASEAN operates, the organization risks irrelevance. Such reforms may include everything from bolstering the organization’s capacity for internal coordination to reworking decision-making processes or accepting the formation of more, and even alternate, regional subgroupings. Updating ASEAN may be critical for enabling regional states and their extraregional partners to meet contemporary challenges in Southeast Asia and in the surrounding area. ASEAN in its current form is an arrangement that initially grew out of Cold War considerations among non-Communist Southeast Asian governments and continues to reflect many of the institutional legacies of its founding. However, an ASEAN with a diminished role and relevance means not only a reduced stature for its members but also an East Asian region where major-power friction is increasingly direct. Whatever the faults of “ASEAN centrality” in regional cooperation, it can be a useful fiction that allows regional actors to coalesce around the lowest common denominator to avoid escalating tensions and even seek cooperation. An ASEAN with members that are less able to find common ground on basic issues may mean greater challenges in defusing tensions and delaying divisive decisions. Unfortunately, for ASEAN members, and perhaps the region more broadly, there is too much reticence over updating ASEAN to more adequately address contemporary regional politics. Members continue to emphasize consensus, autonomy, noninterference, and ASEAN’s centrality in regional cooperation, along with a desire not to choose sides between the United States and China. This translates into inaction on some issues and sporadic attention to others, even as member states address national concerns at the expense of collective action. A consequence is that ASEAN appears somewhat out of sync with a changing regional environment, yet does not have a concrete response to the situation. ASEAN was unquestionably the premier regional organization in Southeast Asia—if not East Asia—coming out of the Cold War. Successful intra-ASEAN coordination and cooperation with the United States and China facilitated an end to Vietnamese occupation of Cambodia in 1989. ASEAN was starting to take the lead on regional issues in the early 1990s, advancing economic dialogue through the Asia-Pacific Economic Cooperation (APEC) forum as well as discussions on political and security issues through the ASEAN Regional Forum. The grouping pushed ahead on engaging larger neighbors through the ASEAN +3 exchanges with China, Japan, and South Korea and with China alone through the ASEAN +1 framework. The late 1990s saw ASEAN members Brunei, Indonesia, Malaysia, the Philippines, Singapore, and Thailand incorporate Cambodia, Laos, Myanmar, and Vietnam into ASEAN. 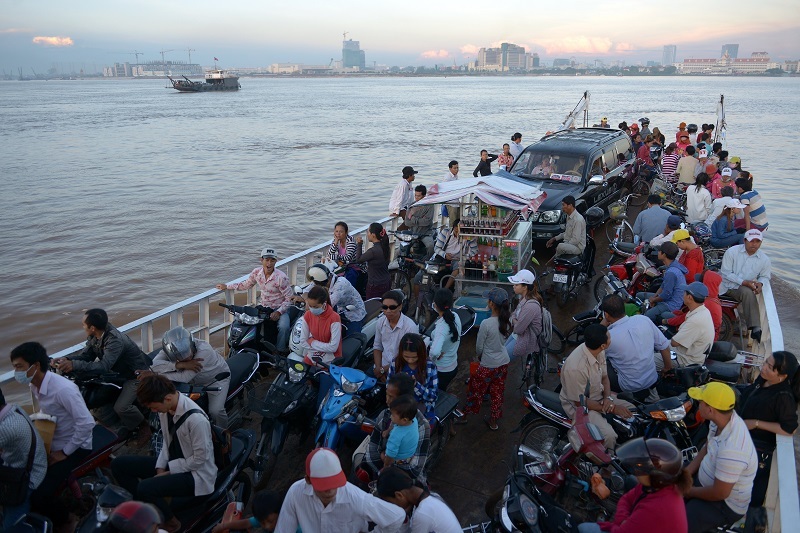 A ferry transports Cambodian people across the Mekong river in Phnom Penh on August 27, 2014. The Association of Southeast Asian Nations (ASEAN) has set 2015 as the target to create a single economic market across the 10-nation bloc that is home to some 600 million people. TANG CHHIN SOTHY/AFP/Getty Images. Momentum began to peter out in the late 1990s, culminating in increasingly obvious divergence within ASEAN. With the 1997–98 Asian financial crisis, divisions emerged on whether the organization’s traditional emphasis on consensus should restrict member states from moving ahead on initiatives that others were not ready to adopt. Proposals to bring member states closer, such as the ASEAN Economic Community, ASEAN Security Community, and ASEAN Socio-Cultural Community, were slow to gain traction. Efforts to move toward a code of conduct for the South China Sea remain at a standstill. ASEAN’s two-decade attempt to tackle the smog that periodically blankets parts of the region has produced limited results. The relative success of the ASEAN-China Free Trade Area, “ASEAN +” frameworks, the Chiang Mai Initiative Multilateralized currency swap mechanism, and cooperation on the Mekong River during the 2000s seemed driven by non-ASEAN initiative. Debate continues over whether the ASEAN Free Trade Area drove the post-2000 growth in intraregional trade. By the 2010s, ASEAN members further differed over approaches to key regional challenges. At the 2012 ASEAN Summit, disparate views over whether to mention the South China Sea issues led to a failure to deliver a joint statement for the first time. Malaysia’s use of a chair’s statement in lieu of a joint statement after the 2015 ASEAN Defence Ministers’ Meeting—which clearly papered over differences to produce a joint position—placed the organization’s ability to manage future disagreements in the hands of the annually rotating chair. This makes progress susceptible to the widely varying institutional capabilities of the member states. ASEAN members remained lukewarm toward the Philippines’ efforts to have arbitrators determine the limits of Beijing’s claims in the South China Sea. Even after the tribunal’s decision in July 2016, there has been no joint ASEAN statement, despite the fact that the ruling and China’s strong reaction to it affect a large number of member states as either claimants or interested parties. The foreign minister of Singapore, the current ASEAN-China country coordinator, effectively admitted during a July 2016 parliamentary session that finding a common ASEAN voice on the ruling and a subsequent binding code of conduct will be challenging. Intra-ASEAN coordination faces challenges in areas other than the South China Sea, including on issues that should arguably be lower-hanging fruit. ASEAN and its human rights commissioners were silent during the 2012 and 2015 Rohingya refugee crises, even as people perished at sea. Likewise, joint regional efforts to deal with transboundary haze remain limited, and even ineffectual, despite a 2002 ASEAN agreement. Given these difficulties on relatively straightforward issues of common concern to members, ASEAN’s progress on the even more contentious and divisive South China Sea problem—involving a major-power rivalry—is likely to be glacial at best. ASEAN ultimately remains a collection of states united for convenience, even though there is some sense of common identity among elites. Integration within the organization remains limited. ASEAN member states prefer dealing with issues, especially difficult ones, via ad hoc expediency and place a premium on presenting outward consensus as they try to reach compromises behind closed doors. This often means that individual states and the group all shy away from adopting clear positions. This “ASEAN way” supposedly helps the group minimize internal discord and avoid choosing sides among major powers, while maintaining the group’s centrality” in East Asia. 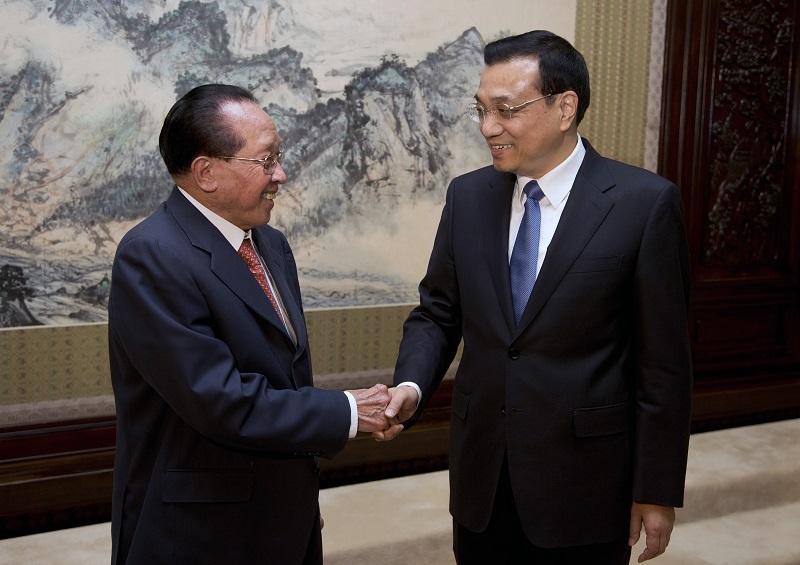 Chinese Premier Li Keqiang (R) shakes hands with Cambodia’s Deputy Prime Minister and Foreign Minister Hor Namhong in Beijing on January 2, 2014. ANDY WONG/AFP/Getty Images. Behind member states’ apparently divergent approaches to cooperation lie overriding concerns generated by particular country interests. Mainland ASEAN members, for instance, may be willing to forgo a more united position on South China Sea issues that littoral states care about in favor of assurances from China over land disputes, riparian issues, and economic integration. Low-income ASEAN economies may break ranks to negotiate preferential bilateral arrangements on issues such as commodity exports and infrastructure development. Middle- and higher-income members may be willing to follow a similar approach for capital investment or access to export markets for manufactured goods and services. Such actions reduce joint ASEAN efforts to advance cooperation. China’s rising prominence and ensuing major-power frictions further compound the challenges facing intra-ASEAN cooperation by widening fractures and encumbering organizational initiative. The opportunities that China offers in terms of market access, tourist dollars, investments, and low-interest loans give ASEAN members more reason to cooperate bilaterally with China and less incentive to share benefits and navigate the intricacies of ASEAN politics. Growing differences between China, on the one hand, and the United States and Japan, on the other, are also making intra-ASEAN coordination trickier. ASEAN states more attracted to one side or another on an issue have more reason to depart substantively from a joint position, even as they claim to not be choosing sides. Such action among individual member states can lead to incoherence on the group level. ASEAN, as well as member states that wish to keep ties with major powers on an even keel, has to worry more about not alienating one side while dealing with a more complicated and uncertain context. A business-as-usual approach still promises some benefits for ASEAN and its members, to be sure. The emphasis on slow consensus building and dialogue is useful in easing escalation and defusing tensions within ASEAN, even creating a sense of commonality. That long-standing territorial disputes among member states remain dormant or have been resolved through third-party arbitration is testament to ASEAN’s effectiveness in easing friction among its members. Flare-ups such as those along the Thai-Myanmar and Thai-Cambodian borders are infrequent and localized. Intra-ASEAN economic exchanges continue to grow, as do trade and investment with non-ASEAN economies. Nonetheless, a potential challenge facing ASEAN is a situation where long-standing positions begin to produce diminishing returns. This creates an imperative for fresh approaches to ASEAN cooperation. Members and their partners can benefit from serious efforts to rethink ways to go beyond existing practices and make ASEAN better suited for today’s more contentious and uncertain East Asia. Governments with an active interest in the region may wish to consider tangible next steps, including ones that depart from the comfort of established approaches. This could involve considering ways to invest in ASEAN’s organizational capacities and examining alternatives should serious reform of the group prove intractable. 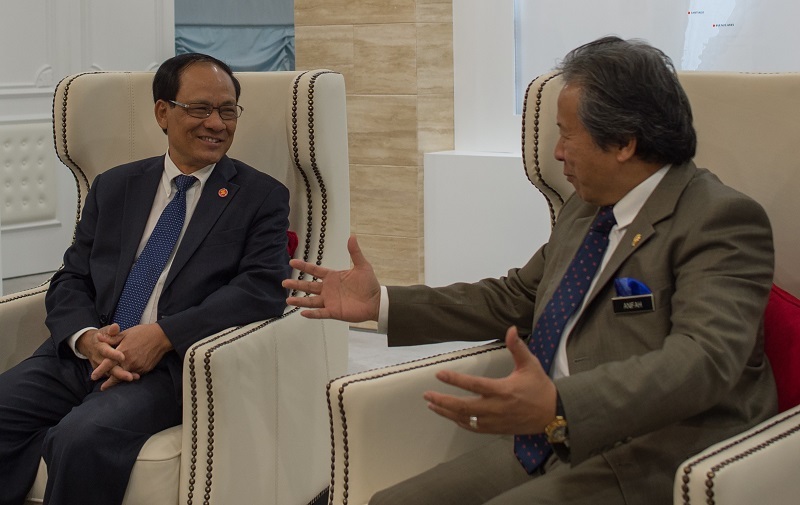 ASEAN Secretary General Le luong Minh (L) and Malaysian Foreign Minister Anifah Aman speak prior to a meeting at the foreign ministry in Putrajaya on January 7, 2015. MOHD RASFAN/AFP/Getty Images. Choices for Southeast Asian states range from attempting to reinvigorate ASEAN’s ability to lead regional politics to diminishing the organization’s role in East Asia’s security and economic architecture. One possibility may be to replace the group’s consensus decision-making with a majority or supermajority model, allowing for dissenting minority views. Another option could be to strengthen the ASEAN Secretariat’s coordinating role to reduce collective-action problems. A third may be to center intra-ASEAN cooperation on issue-based subgroupings, such as maritime and mainland states or more and less developed economies. Encouraging ASEAN members to build partnerships with extraregional actors to deal with specific concerns, while exploring the possibility of these new arrangements eventually superseding ASEAN, is another alternative. These options are not mutually exclusive but do require that ASEAN members think hard about matters of autonomy, regional cooperation, and institutional capacity within the region and beyond. A Southeast Asia that enjoys well-functioning regional cooperation will be more stable due to better and more effective management of the many contentious issues facing the region. Dependable, independent regional mechanisms for handling differences can also reduce friction among major powers by buffering some of the more antagonistic aspects of such relationships. An effective code of conduct, for instance, could limit cause for quarrel between China and the United States over the South China Sea, while reducing tension among claimant states and with user states. These advantages come on top of the joint gains regional states can enjoy from closer coordination under a united banner. Realizing these outcomes will require governments in Southeast Asia to take careful stock of ASEAN’s current limitations, make clear-eyed assessments about the group’s future, and take decisive action when necessary. This includes entertaining the possibility of ASEAN losing its central role. Whether Southeast Asian leaders are ready and willing to take steps in this direction remains unclear, effectively increasing uncertainty over the future of security and cooperation in the region. Ja Ian Chong is an Assistant Professor with the Department of Political Science of the National University of Singapore, where he studies and teaches the international relations of the Asia-Pacific. He was previously a research assistant professor at the Hong Kong University of Science and Technology. A Chinese translation of this article was published in Issue 30 of Singapore’s Ee Hoe Magazine. You can access the article here. Banner image: © HOANG DINH NAM/AFP/Getty Images. Cars and a tuk-tuk ride past a row of ASEAN member countries’ flags in the Laos capital of Vientiane on July 23, 2016, as the country hosts the 49th annual ministerial meeting of the South East Asian Nations (ASEAN).